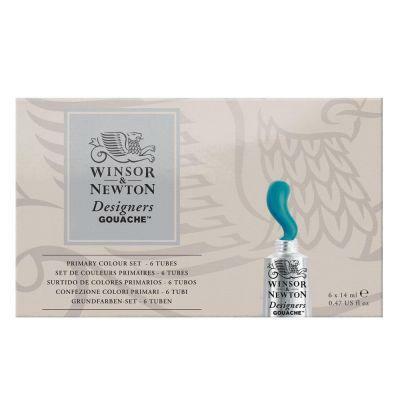 Winsor & Newton Designers Gouache colours are a range of opaque watercolours, mainly used by designers, illustrators and commercial artists to create vibrant illustrations in solid colour. Gouache is also widely used in fine art as an opaque water colour. This Primary Colours Set contains 6 x 14ml tubes. 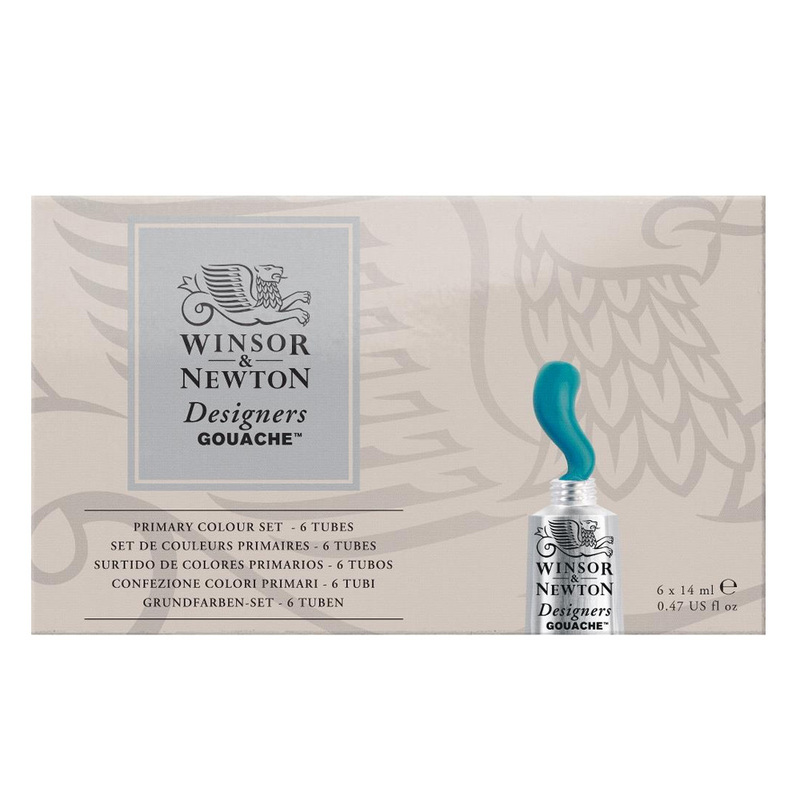 The colours are specially selected for optimum results when colour mixing, producing strong bright mixes.